4 years ago, I took a big step towards starting a new life… I had enough courage to stay on my feet in the middle of the storm and ask myself the essential question: “who am I?”. Questioning yourself is never easy, but it’s even harder when you’re about to leave a long and overwhelming relationship behind. 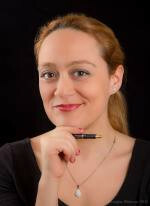 4 years ago, I took a big step towards starting a new life: I went through a divorce. It was a very hard time for me — I was emotionally and mentally confused and I struggled financially and even just to survive. Fortunately, despite all the clouds blurring my mind and all the fear repressing my inner voice, I had enough courage to stay on my feet in the middle of the storm and ask myself the essential question: “who am I?”. Questioning yourself is never easy, but it’s even harder when you’re about to leave a long and overwhelming relationship behind. I also shared my questioning with my good friends. The very same day, one of them invited me to a conference and guided meditation session entitled “Who am I?”, which would take place at L’Émergence Meditation Centre in Montreal, where I first discovered Raja Yoga. 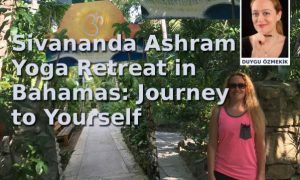 Another good friend suggested that I visit the Sivananda Ashram Yoga Retreat in the Bahamas, but I had neither enough money nor enough energy at the time to follow this advice. I felt the need for such a retreat deeply; however, I sensed that I wasn’t yet ready for this journey. Thanks to my regular visits to the L’Émergence Meditation Centre in Montreal, not only did surviving that very hard time start to seem easier, but my life was also getting better — I passed my master thesis presentation on creative writing with success, I found a small apartment in my favourite neighbourhood, I got a part-time job that pays well, and the right people were everywhere and we met at the right time. My parents also encouraged me immensely. Amazed, I stopped resisting the unknown. I followed the flow and let the miracles happen. 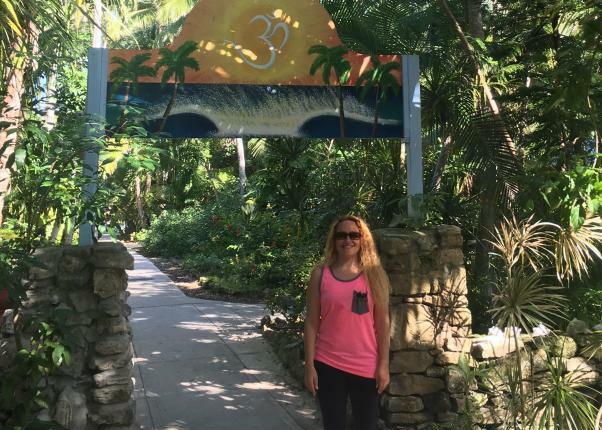 It took four years, full of enriching and delightful life experiences, until I finally felt ready for an ashram where I could experience all aspects of Yogi life and be completely healed from my bad experiences, both physically and spiritually. 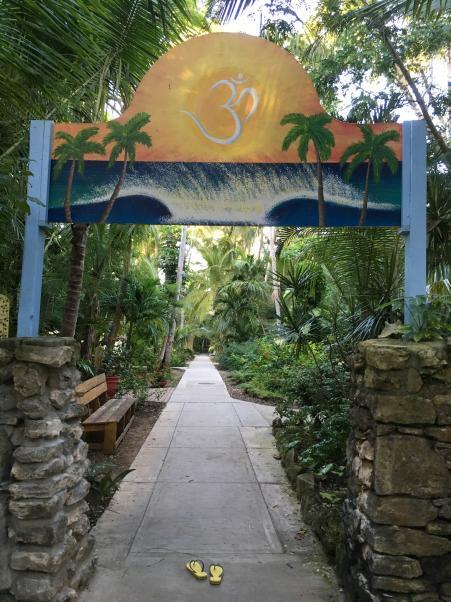 I also thought that listening to ocean waves and smelling the wind would certainly help to open my heart, so I decided to live one of my dreams and take a trip to the Sivananda Ashram Yoga Retreat in the Bahamas. As if the Universe was waiting for my decision, everything lined up so that I could make that dream come true at the end of November in 2017. After looking into several workshops at the ashram, I found that a wonderful healing workshop would be given by Reiki master Brett Bevell during my stay. As for my cat, a friend was looking for a place to stay in Montreal, and she agreed to cat-sit for me. I found even cheaper flights for the Bahamas. 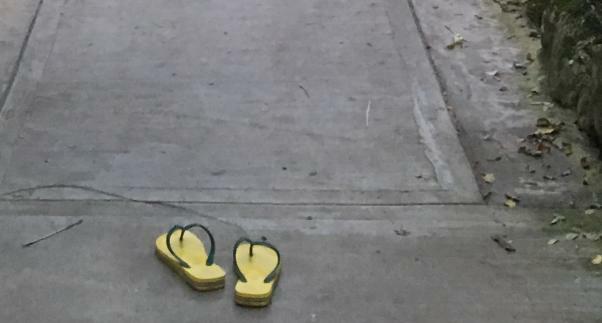 Hard to believe, but I organized my ten-day “journey to myself” in twenty-four hours. I organized my ten-day “journey to myself” in twenty-four hours. First of all, the Nassau International Airport in the Bahamas smelled like flowers after the dry, cold air of Montreal. The temperature was around 25°C at the end of November — neither too hot nor too chilly, but warm as a delicate blanket or a warm shower, and very welcoming. Once I set foot in the ashram and started walking barefoot on its narrow paths surrounded by green healthy and happy plants, I felt like I was in wonderland. My senses were awakened by the serene beauty all around. 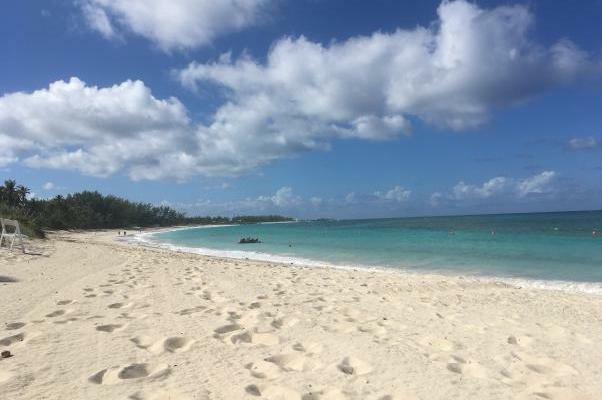 I listened to the birds’ grateful chorus in the morning and to continuous ocean waves during my daily meditation sessions in the afternoon while warm, friendly Bahamian sand touched my feet and legs. The sun was gentle on my skin, and the beach offered the best setting for my yoga sun salutations. The abundance of colours — every hue of green, blue, yellow and white — filled me with joy, whereas the intense odour of incense coming from the temples gently lulled my mind.